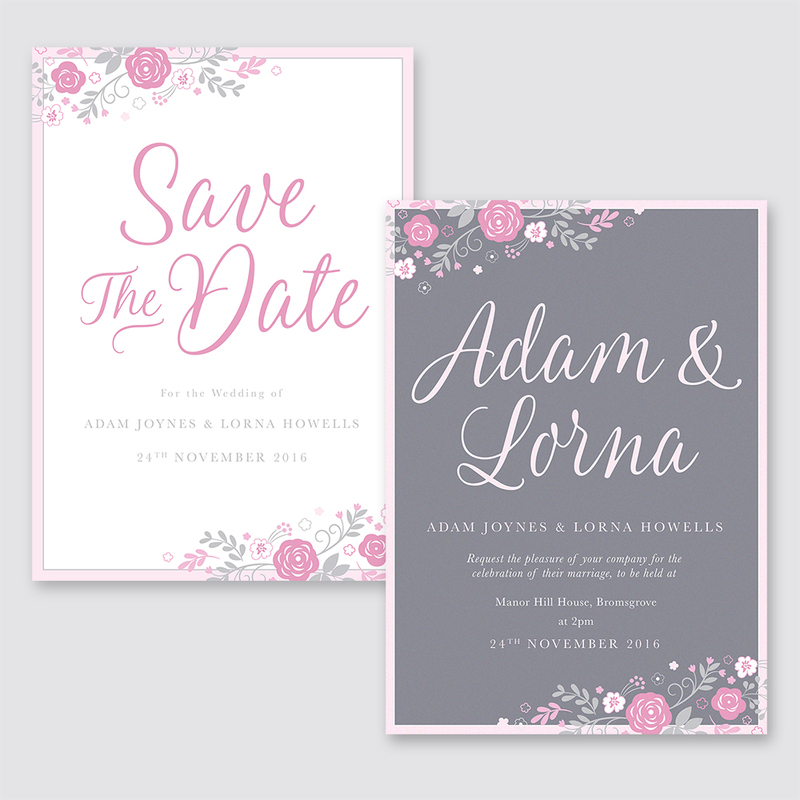 A pretty floral Save the Date and wedding invitation set with elegant script text. The design comes in shades of pink and grey with the option of white background or grey background. 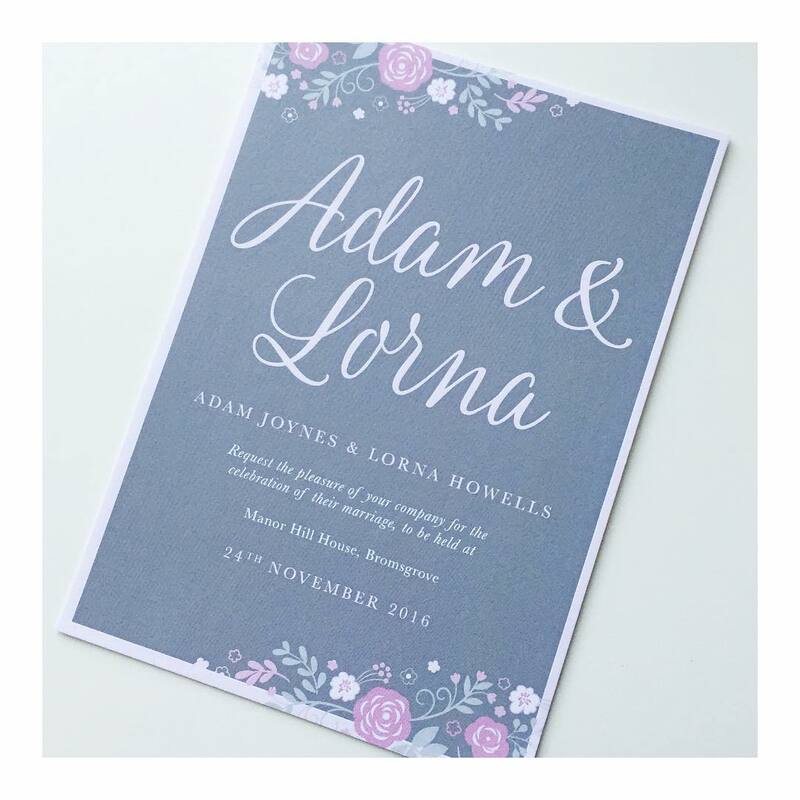 This design could be adapted to complement any floral colour scheme with pastel tones.